Sustainable success requires a game plan. Four of every ten U.S. businesses are owned by women. An American Express study shows that since 2007, female-led businesses have grown an impressive 58 percent. While women remain under-represented in C-suite positions of major corporations, they are outpacing men in launching entrepreneurial ventures. And many of them seem to be very good at exploring and expanding their own potential. That’s where Pat Obuchowski comes in. She’s a business coach and author of Gutsy Women Win: How to Get Gutsy and Get Going. Rodger Dean Duncan: The Bigger Game model, which you use extensively, illustrates the path taken by the women you highlight in your book. What’s the origin of this model and what are its key elements? Think of the elements as integrated and mutually-reinforcing, not linear. Pat Obuchowski: The Bigger Game model originated with two of my mentors— Laura Whitworth, co-founder of Coaches Training Institute (CTI), and Rick Tamlyn, senior leader for CTI’s coaching and leadership courses. 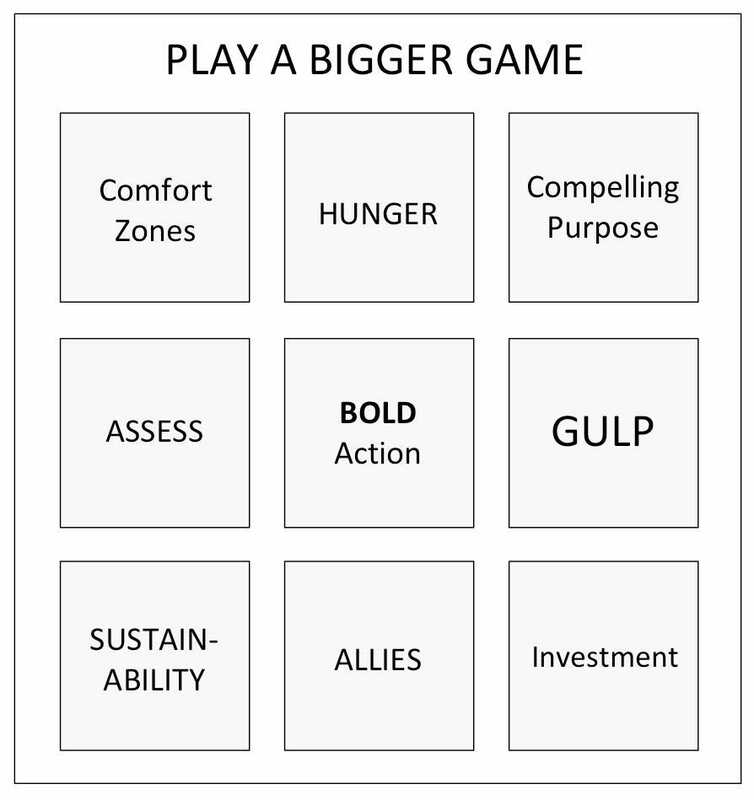 The Bigger Game is a leadership and social change model developed to help people gain clarity and get into action around what bigger game they want to make real in their world. The game board has nine elements which I’ll explain linearly, but any element can be acted upon concurrently. Comfort Zone: These are the habits we have—neither good nor bad—that we must leave if they are no longer serving us in our lives. For example, binge-watching video streams. Hunger: Hunger (also known as our ‘Why’) is where we want something more in our world. When we decide what that something more is, it keeps the fire going in making our Bigger Game real. GULP: This is that scary exhilarated feeling we get when we’re doing something big that we’ve never done before. When you feel the GULP you know you’re stretching yourself. Investment: These are the things that you, as a game changer, have to invest in yourself to play a bigger game. This might include learning something new, analyzing the financial investment and impact, and investing time and energy. Allies: The good news is that in order to play a bigger game you can’t do it alone. So you ask allies to help you along the way. This is more fun anyway. 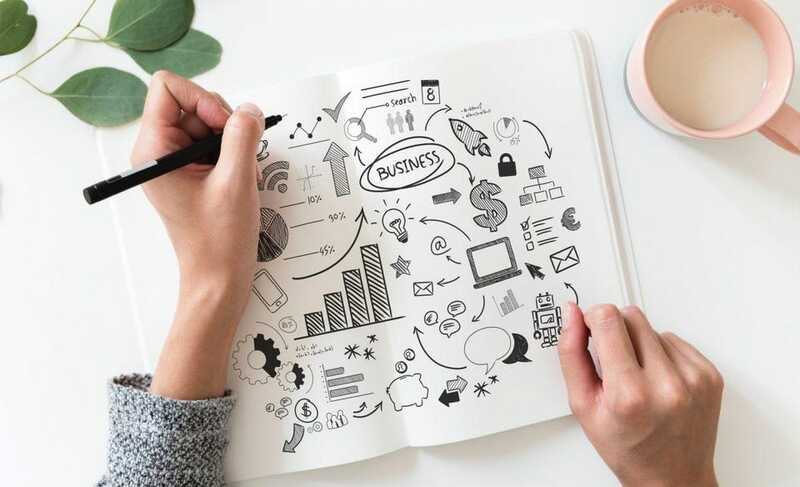 Assess: Like taking an inventory for your business or home, this is the inventory about your bigger game and the elements of the game itself because it will morph many different times. Bold Action: Taking steps in any one of the above elements is taking bold action. Duncan: In your view, what’s good about comfort zones, what’s not so good, and what questions should we ask ourselves about our comfort zones? Duncan: What role does servant leadership play in your approach to coaching women? Obuchowski: Women are basically about the answer to the key servant leadership question, “How can I best serve you?” What is instinctive in the women I work with is they are always looking for ways to develop and help their peers and teams be successful. They understand their success is dependent on the success of those around them. Duncan: How does servant leadership relate to the Bigger Game model? Obuchowski: You ask yourself “How can I best serve my game?” In finding your allies along the way you always ask “How can I best help you succeed in playing this Bigger Game?” I believe playing a bigger game in and of itself is servant leadership as it is being in service to your world to leave it better than you found it. Duncan: You write about things to do and mindsets to adopt that help women empower themselves to succeed in the marketplace of ideas and commerce. Don’t these same activities and mindsets apply equally to men? Obuchowski: Yes! These same activities and mindsets certainly apply to men all around the world and many men have been guided through this model. I focus on women in leadership and help them define and play their bigger games as I believe women need to find and use their voice and power more now than ever before. Duncan: In keeping with the Allies piece of the Bigger Game model, you meet virtually with three other professional women every other week. How do you benefit from that alliance, and what advice do you give women who may be reluctant to reach out for help? Obuchowski: Community is critical for women. Playing your bigger games can become lonely at times and you may not be able to see a solution by yourself as easily as you can when you speak it out loud to others and seek their input. The women I meet with as my guides or personal board of directors are non-judgmental, keep these conversations confidential, and support me with positive input and want me to succeed. Very special, indeed. Duncan: Eleanor Roosevelt advised—“Do one thing every day that scares you.” How can that viewpoint be “operationalized” by people who want to make a positive difference in their part of the world? Obuchowski: It’s easy to operationalize taking bold action if you are dedicated to playing your bigger game. Operationalize simply means to put into operation or use. One of my best tools is to find someone who can be your daily accountability contact. Keep it simple. Here’s how. Tell them you will email/text/WhatsApp/IM (pick one) every morning with the one bold action you will take and then will use the same correspondence to let them know what action you took on that one commitment. Then, celebrate! Duncan: You quote Oliver Wendell Holmes who said “Many people die with their music still in them.” If you had to express in a 140-character Tweet the key to making one’s music available to the work, what would you say? Obuchowski: When your life flashes before your eyes make sure it brings a smile on your face, peace in your heart, and it’s fun to watch.